Why can’t we stop infected individuals from entering the country by screening at airports and the border? It is, after all, an idea that is promoted by the manufacturers of thermal scanning devices, and often pulled out of the rabbit hat by governments around the world when a disease threat appears. 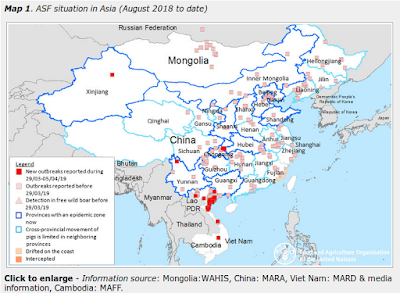 During the SARS epidemic of 2003, the H1N1 pandemic, and more recently with MERS and H7N9, many countries have employed fever scanning technology on incoming passengers. More than 80 percent of people questioned in developed countries said inbound travelers from countries with cases of MERS should be screened for the illness. The number rose to 90 percent in less industrialized countries. The problem is, while the technology can detect (most) people with fevers, their track record of detecting and preventing infected individuals from entering a country has been only slightly better than dismal. The biggest obstacle being: not everyone who is infected with the fear du jour will exhibit a fever. And some may simply be asymptomatic carriers of the virus. And since MERS, Avian Flu, and Ebola outbreaks don’t happen in a vacuum – and there are likely to be a far greater number of passengers less dire fever producing infections (colds, flu, WNV, teething babies, etc.) – trying to determine who to quarantine and who to let through becomes a nightmare. A strict `any fever=no entry’ policy would quickly turn any busy airport or entry point into a shambles, cause massive travel delays for everyone, and incur great economic costs. All the while `silent’ infections would pass through undetected. We know this because previous attempts to interdict SARS and H1N1 using airport screeners and/or thermal scanners have been well studied. In 2010, in Japan: Quarantine At Ports Ineffective Against Pandemic Flu, I wrote about a study that found between asymptomatic or mild infections, and a silent incubation period of several days, there wasn’t much chance of long-term success. For every person identified, and quarantined, by port authorities - researchers estimate 14 others infected by the virus entered undetected. In April of 2012, in EID Journal: Airport Screening For Pandemic Flu In New Zealand, we looked at a study that found that the screening methods used at New Zealand’s airport were inadequate to slow the entry of the 2009 pandemic flu into their country, detecting less than 6% of those infected. Unlike some other countries in 2009, New Zealand did not employ thermal scanners, which look for arriving passengers or crew with elevated temperatures. But even countries that employed thermal scanners and far more strict interdiction techniques during the summer of 2009 failed to keep the flu out. Since there is nothing worse than being sick away from your own country and your own doctor, to little surprise in Vietnam Discovers Passengers Beating Thermal Scanners, we saw evidence of flyers taking fever-reducers to beat the airport scanners in order to get home. And in June of 2010 CIDRAP carried a piece on a study of thermal scanners in New Zealand in 2008 (before the pandemic) presented at 2010’s ICEID called Thermal scanners are poor flu predictors. The world’s airlines carry 2.6 billion passengers each year, on more than 17 million flights. And as the graphic at the top of this post indicates, millions of these are international flights. With most viral diseases having an incubation period that ranges from a couple of days to a week or longer, someone who is newly infected with a virus could easily change planes and continents several times before ever they ever show signs of illness. It should be stressed that there is a role for screening passengers departing a known outbreak location for fever or other signs of illness, and that passengers who are visibly ill should always be attended to, and isolated if necessary. The WHO’s advice in their August 18th Statement on travel and transport in relation to Ebola virus disease (EVD) outbreak. Airport screening isn’t useless, as it can identify acutely ill individuals when they are likely to be the most contagious so they can be promptly isolated, and it can provide important surveillance information. And it might even help slow the rate of entry of an emerging disease into a region, allowing additional time to mount public health interventions. But as far as preventing an infectious disease like MERS, Ebola or Avian Flu from entering this - or any other country - airport screening is apt to prove a major disappointment. Good one. Global mobility as a 2-edged sword. You need a Tweet button!